Training @ Evans Faull is an engaging and contextualised series of training programs held at our Malvern office. Each session has a maximum of 8 participants, to ensure the collaborative benefits of small group training is retained. The session provides Business Owners, Managers Supervisors and Team Leaders with a thorough overview of an organisation’s obligations in relation to applicable employment legislation in Australia. All the HR basics are covered with practical examples for how to incorporate these appropriately into your business. > What is Harassment & Sexual Harassment? 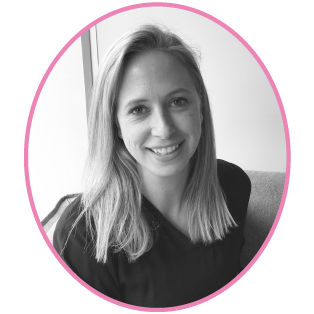 Emily has extensive experience in HR and talent management in both internal HR and business consulting roles. 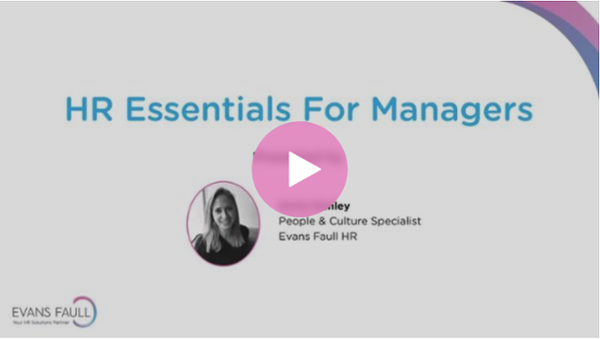 Emily is passionate about creating transforming the way businesses manage their people. Today, more than ever, employees are less likely to tolerate inappropriate behaviour in the workplace. The wave of #timesup and #metoo movements combined with some high profile bullying and harassment cases playing out in the public arena attest to a cultural shift that is now well underway. In each case, public discussions raise the important point – what was being done to prevent this inappropriate behaviour from occurring? The Australian workplace relations system is one of the most complicated in the world, which is why it is crucial your business maintains and communicates both up to date and compliant HR systems and processes. As an employer, it is your responsibility to be aware of and adhere to all relevant employment legislation governed by the Fair Work Act and National Employment Standards. While a positive culture, proactive training programs and compliant policies will lead to a more productive workforce, it doesn’t automatically mean you’ll be exempt from needing to performance manage an employee. There will almost certainly be cases where one of your employees does not meet required standards of performance or behaviour. When such instances occur, you need to be prepared so you can act swiftly and minimise any impact on your organisation. Have an HR expert provide a 2-hour consultation and review of your HR systems & processes.